Join Jim Neupert for 3 days of pottery instruction. For kids 7-12 years of age. There will be two sessions (see below.) Sign up early. These classes fill fast! 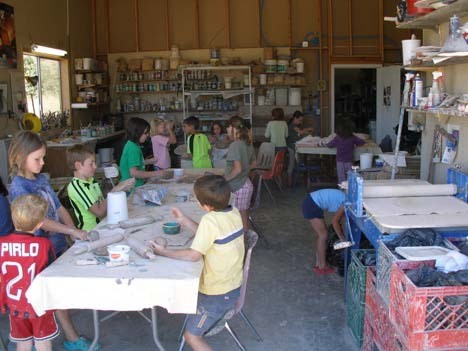 The kids will work at the site of a working pottery studio. In this safe supportive environment, experimentation and invention are encouraged and children’s natural instincts are cultivated. They will have a chance to work on hand building projects as well as being able to work on a pottery wheel. The class will take place at Jim Neupert’s Studio, 92 Lower Beaver Creek Rd, 5 miles south of Twisp. Sign up now, space is limited. Limited space. Sign up early!